Jonathan Cape, 1995, Hardback in Dust Wrapper. From the cover: “In July 1991, nine skeletons were exhumed from a grave in Siberia, a few miles from the infamous cellar where the last tsar and his family were murdered seventy-three years before. Were these the Romanovs? 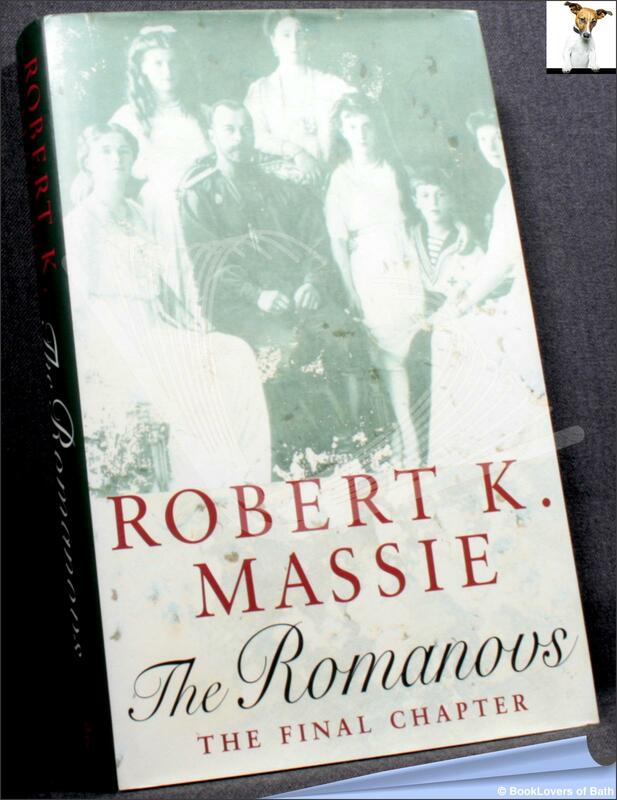 The Romanovs: The Final Chapter provides the answer, going back to the horrifying moments of slaughter, revealing the guilt and cover-up by Lenin, then describing in dramatically suspenseful detail the efforts in post-Communist Russia to find the bodies and discover the truth. Written almost as a detective thriller, the story includes a panoramic and colourful gallery of contemporary figures, from US Secretary of State James Baker, Russian president Boris Yeltsin and Lord Mountbatten, to fiercely antagonistic forensic experts and DNA scientists from Russia, America and Britain. Because two skeletons — those of the tsar’s son and one of his daughters — were missing from the grave, all the tantalising tales of reappeared pretenders again loomed large. Was Anna Anderson, celebrated for more than sixty years in newspapers, books, films, ballets, really Grand Duchess Anastasia? The Romanovs: The Final Chapter answers this question, too. Size: 9½" x 6¼". Green boards with Red titling to the Spine. [X] 308 pages.